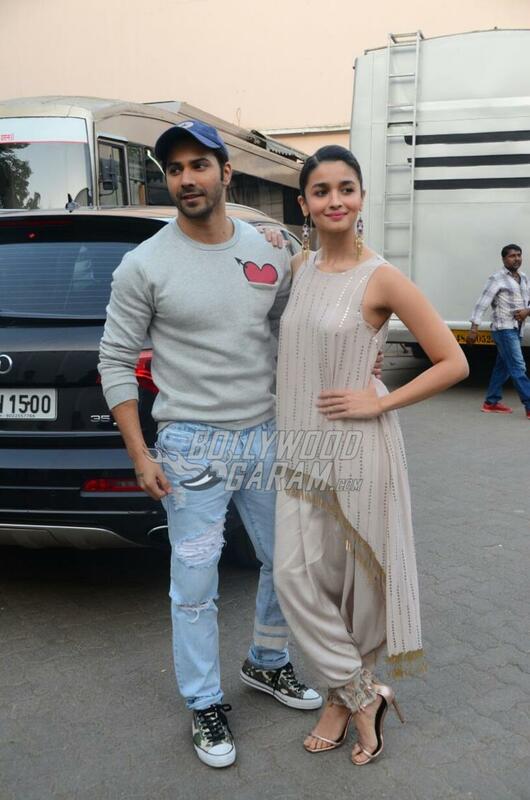 Photos – Alia, Varun Snapped at Mehboob Studios a Day Before Badrinath Ki Dulhania Releases! 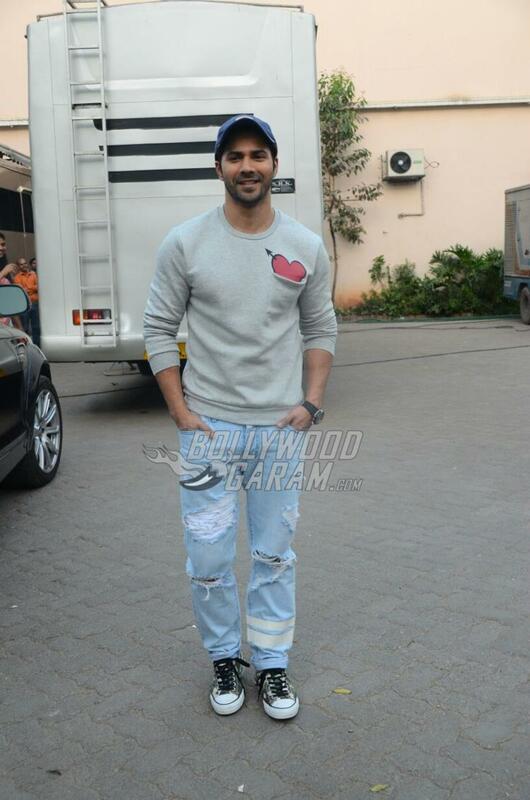 Actors, best friends and co-stars, Varun Dhawan and Alia Bhatt were snapped at Mehboob Studios in Mumbai on March 9, 2017. The actors have their fingers crossed as their latest movie, Badrinath Ki Dulhania is all set to hit theatres tomorrow, on March 10, 2017. With just one day to go, the actors are trying to reach every possible platform to promote their movie. Directed by Shashank Khaitan, Badrinath Ki Dulhania is a sequel to the 2014 movie Humpty Sharma Ki Dulhania, which also starred Alia Bhatt and Varun Dhawan, in the lead. Alia looked fabulous in a sparkly off-white outfit with golden tassles and Varun looked dapper in blue denims, grey t-shirt and a cap. The sequel to Humpty Sharma Ki Dulhaniya also stars Gauahar Khan, Aakanksha Singh, Shweta Basu, Puneet Singh Ratan and Rituraj Singh in supporting roles. The movie is produced by Hiroo Johar, Karan Johar and Apoorva Mehta under the banner of Dharma Productions. Varun and Alia have acted in a number of movies together, their first one being their debut together for Karan Johar’s hit film, Student Of The Year. Since then, audiences can’t get enough of the pair! Watch out for some peppy songs, romantic songs and some great one-liners from the protagonists, Badri and his Dulhania. Grab your popcorn to catch the sizzling on-screen pair this weekend! Badrinath Ki Dulhania releases tomorrow, on March 10, 2017. Don’t miss out Bollywood Garam’s honest review of Badrinath Ki Dulhania.